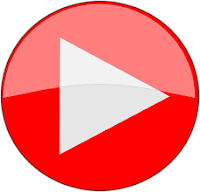 You are here for SRH vs CSK live score 33rd match IPL 2019 and its highlights. This interesting match has been played in Rajiv Gandhi International Cricket Stadium Hyderabad on 17 Apr 2019. These two teams were the finalist of IPL 2018. SRH won by 6 wickets in 16.5 overs. 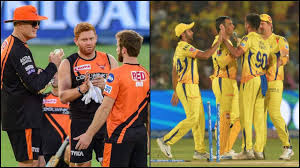 Hi friends, get SRH vs CSK live score 33rd match IPL 2019. a highlight and a full description of this interesting match. CSK won the toss and opted to bat first. Shane Watson and Faf du Plessis had given a good start to the CSK team. They did 79 runs partnership for the 1st wicket. But CSK could score only 132/5 in 20 overs due to the failure of middle orders batsmen. A blasting opening by David Warner and Jonny Bairstow took SRH close to win very fast. CSK couldn't play good cricket in the absence of MS Dhoni. Know all about it in SRH vs CSK live score and highlights 33rd match IPL 2019. Shane Watson and Faf du Plessis started well for CSK. They did a great partnership of 79 runs for the 1st wicket. Faf du Plessis scored 45 runs inning with the help of the 3-3 boundaries and sixes. Shane Watson also played well but very slow like a test match or ODI series. He scored 31 off 29 included 4 boundaries. Ambati Raydu 25, Suresh Raina 13 and Ravindra Jadeja played an inning of 10 runs. Jadeja was another slow playing batsman who faced 20 bowls in scoring only 10 runs. Rashid Khan got 2 wickets. While Vijay Shankar, Shahbaz Nadeem, and K Khaleel Ahmad got the 1-1 wicket. SRH stopped CSK at a little score. CSK could score 132/5 in 20 overs in this SRH vs CSK 33rd match of IPL 2019. Devid Warner started the inning in blasting way with Jonny Bairstow. He scored 50 off 25 included 10 boundaries. Jonny Bairstow was the highest scorer of this SRH vs CSK 33rd match. He played an inning of 61 off 44. He smashed 3 boundaries and 3 sixes in his today's inning. Both the layers added 66 runs for the 1st wicket in 5.4 overs. Deepak Hoda well supported with 16 runs. Imran Tahir got 2 wickets. While Deepak Chahar and Karn Sharma got the 1-1 wicket. SRH scored 137/4 in 16.5 overs and won SRH vs CSK 33rd match of IPL 2019 by 6 wickets. It was SRH's 4th win of this IPL season 12. Get the help of all team squad to predict next match winner.